What is a Crystal Journey? 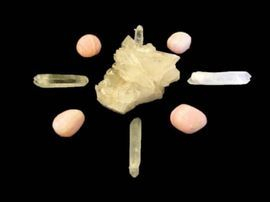 Crystals have many amazing properties which can be scientifically demonstrated. If crystals are laid out on and around the body in the right way they can induce a theta brain state - similar to the effect found when using the Theta healing technique. 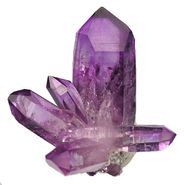 The advantage of using crystals is that it is easy to hold the theta state for a long period of time. This makes it much easier to relax and observe. The philosophical perspective behind a Crystal Journey is that all time is "Now" (something spiritual teachers have long taught and quantum physics now recognizes). It is easy, in a theta state, to journey to any point, in any "time" or place and to view it, right Now. 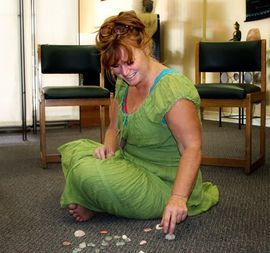 One of the biggest benefits of doing Crystal Journeys is that it rapidly improves your intuitive skills. Theta healers who initially have trouble visualizing will often find that after 5 or so Crystal Layouts they can see, hear, smell, touch and feel clearly and easily in a theta state. Every time you go into theta to do a Theta healing you will have these heightened senses. Remember: This is REAL! Crystal Journeys are increasingly used by institutions as a serious research tool. You can explore past lives and write down names, places and dates. These can be independently verified from birth and death records - proving that the information you access is real. Similarly people with no prior knowledge accurately report on clothing, diet and other aspects of ancient civilizations - information that historians later verified.